Home Admission Undergraduate Admission Dates & Deadlines Which Application Type is Right for Me? Which Application Type is Right for Me? Early Action, Early Decision, Early Decision II and Regular Decision are different application plans. What's the difference? 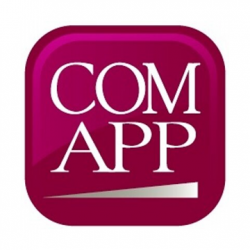 Stonehill is an exclusive user of the Common Application. Everything you need to apply to Stonehill online can be found on the Common Application website. Early Action is a nonbinding application option. If you choose to apply to Stonehill as an Early Action applicant, you’ll be considered for admission earlier than students who apply as Regular Decision applicants, but you’re not required to enroll if you’re admitted. You will be notified of the decision before January 1, and have until May 1 to enroll. Early Decision is a binding application option. If you choose to apply to Stonehill as an Early Decision applicant and you’re admitted, you must enroll. As an Early Decision applicant, you’ll be considered for admission earlier than students who apply as Regular Decision applicants. Early Decision applicants must complete the Early Decision Agreement. Considering Early Decision? Concerned about financial aid? Learn about our Early Decision Financial Assistance Estimate Program. Regular Decision is a nonbinding application option. If you choose to apply to Stonehill as a Regular Decision applicant, the grades from your grade 12 first semester or trimester will be considered in our review. You will be notified of the decision early to mid-March, and have until May 1 to enroll. Early Decision II is an opportunity, in unique circumstances, to apply for admission after the Regular Decision deadline and to receive your decision in two weeks. It is a binding application option and requires submission of the Early Decision Agreement. Students admitted under the Early Decision II option are required to withdraw any offer of admission and pending applications at other institutions. Students who apply as Early Decision or Early Action applicants may be deferred to the Regular Decision application process. If you receive a defer decision, you must complete and return the Deferral Response Card that arrives with your decision letter to receive further consideration within the Regular Decision applicant pool. In addition to returning the Deferral Response Card, please have your high school counseling office submit your first semester or trimester grades as soon as they become available.